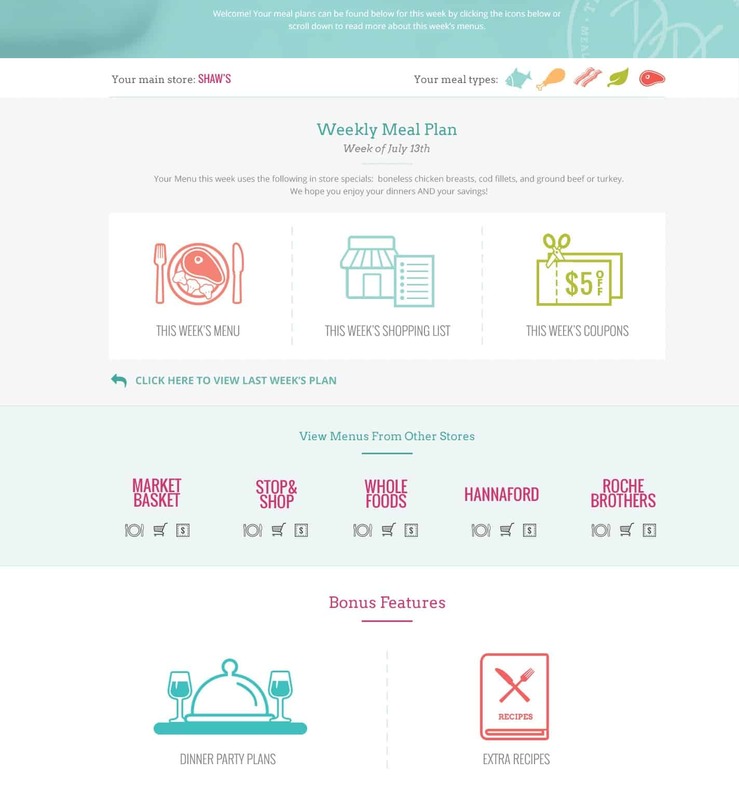 One Membership =Multiple Menu Plans (menus, shopping list, and coupons). So even though your primary store might be Shaws, when you log in to the Members’ Dashboard, you will still be able to view and download any of the menus for any store in your region, such as Stop & Shop, Market Basket, and Whole Foods. AND, all the store menus are customized for your food preferences and for each store’s specific weekly specials. How awesome is that?!!! You can check it out in the snapshot image above of our new Members Dashboard. 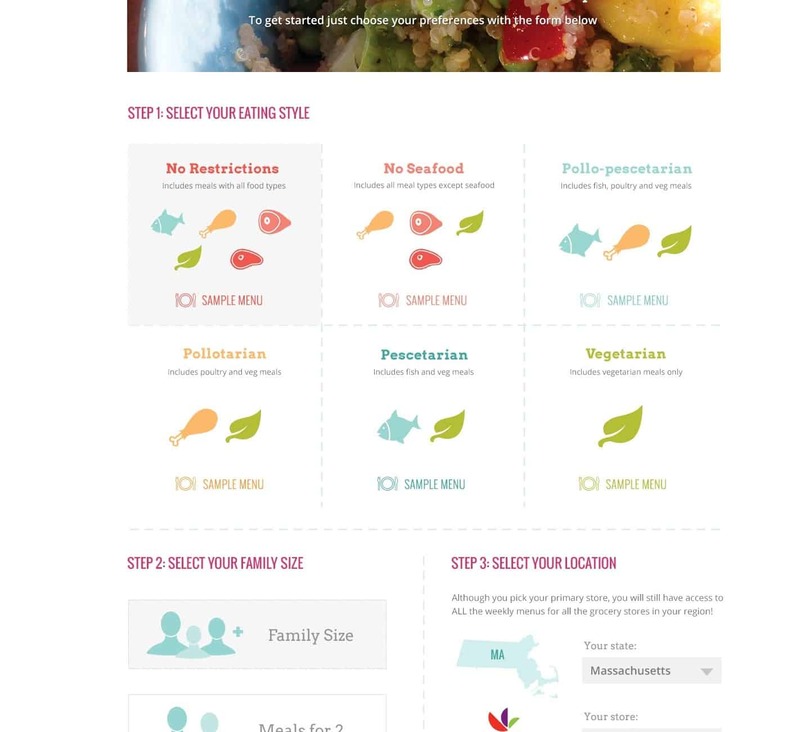 More Customization of Menus: now when members sign up, they select from six different menu plans, ranging from our Everything Plan (anything goes) to the Vegetarian Plan. Members also select their family size, and the state they are located in. Store specific menu plans are then shown for the state you live in. Also, if you do not see your favorite store, please know we are planning on adding new stores in the weeks ahead. First up is the Midwest later this week!. Where did we get all this inspiration from? Our Members! And in case you were wondering, we have no intention of changing our already low price. It all goes back to our mission: to help busy families save time, save money on their groceries, and have healthier and happier family dinners. So if you are looking for some help in getting organized around dinner, check us out! We would love to help you!